Identifying internet scams involving classic cars just plain scares some people. The Cars On Line.com staff has been helping sell classic cars over the internet for seventeen years. 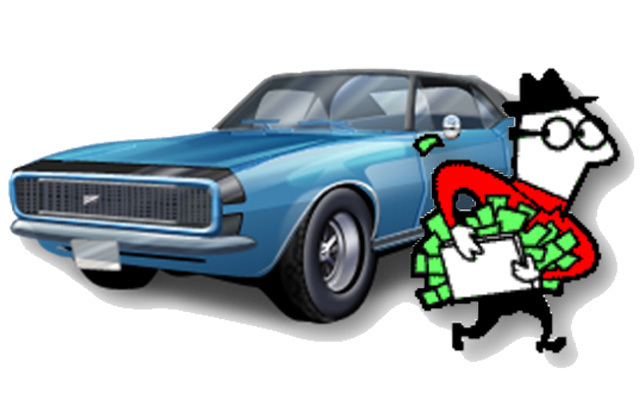 We want classic car buyers and sellers to know that there are ways of identifying internet scams. Arm yourself against them by being educated about how internet scammers operate and how the scam works. That way you will recognize them before you fall victim to them. It’s easy to lose your good sense when confronted with a particularly good deal, or to look past seemingly small details when the prospect of getting something you’ve longed for is at hand. Don’t let the “sucker” be you. Most of the risk involved in an online car purchase falls on the buyer. As the buyer, you’re being asked to part with a large sum of money for a vehicle that the seller will not part with unless paid first. Cars On Line.com discussed methods of payment in an article written about Completing the Transaction. You should also read our instructional article on Getting an Inspection Done, as well as Using a Bill of Sale. (Click the blue underscored type to read the articles.) These three articles are the best protection against a scam. Another method of identifying internet scams involving classic cars is to be aware of the scamming techniques you’re most likely to encounter so that you can steer yourself around them. If a “scammer seller” runs ads on eBay or Craig’s List they will usually be offering a highly desirable collector car at an unheard of low price. Of course, you want to make that deal before someone else does, so you contact the seller. The “scam seller” will want a security deposit by Western union or Paypal. That usually is the “sting.” You make the payment before the seller actually has to deliver the car. No deal is so good that you should ignore the basic steps required to protect yourself in an online deal. Have the car inspected by a reputable inspector, get a bill of sale, and use a trusted form of payment. When inquiring about the vehicle, be sure to ask detailed questions that someone who doesn’t actually own the car would have difficulty answering. If the seller claims to be a dealer, then research the dealership by making sure the business has a history with real customers that can vouch for their experiences. Most often these “scam sellers” are located outside the U.S. They often cannot communicate with you by phone or they would give themselves away by their inability to communicate in English. Their English usage in their emails will probably give them away. These are the ones that are easiest to figure out. Avoid these situations. 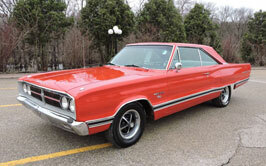 If a collector car seller is from the U.S. he will be easy to identify. You can even look up his address on Google maps and zoom in on his location. You can ask him for references which you can also verify. Most important, a U.S. citizen will not want to perpetrate a fraudulent transaction because he will always serve jail time for an interstate crime. That is why 98 percent of the internet scams are perpetrated by overseas scammers. A buyer wanting to protect their money is an understandable goal, which is why escrow services seem so appealing. The idea is that the escrow company would hold the funds as a third party agent and wait for the car to be shipped to the buyer. Once the buyer has a chance to inspect the car, the escrow service would release the funds to the seller. While there are legitimate escrow services out there, the reality is that sellers do not generally agree to an escrow service. A lot of so called “escrow services” are actually scams themselves. There just isn’t anything that an escrow service is offering that gets a seller interested. They are being asked to send their car to a buyer without being paid. No seller would agree to that. When a scammer uses this method, they set up the service to look legitimate, then recommend the buyer use it to help protect both of their interests. Once the buyer parts with his money, the seller and the service both disappear. Most legitimate sellers will have no interest in using an escrow service. If you’re the buyer and are being asked to use an escrow service, especially one that a seller is recommending, then you should be cautious about moving forward with the sale. Investigate the service they’re recommending, and see how open the seller would be to using a different service of your choosing. Be cautious of any links to an escrow service website for the same reasons we discuss in Phishing below. Similar to using a fictitious escrow service is the attempt to use a protection service. Be wary of any seller that tells you the transaction is guaranteed, as these services are rarely real. Sometimes the seller might use the name of a service that sounds legitimate. Read the fine print, as many legitimate protection services will only insure a transaction for a small amount, or are restricted from being used in conjunction with vehicle purchases. Here are some of the scammer’s techniques which a classic car seller must be aware of. The most common scam which effects the collector car market happens when you as a seller get contacted by a “scam buyer” who wants to pay you by cashier’s check or bank check. The scam happens when the scammer wants to send you “too much money.” It can be for a variety of reasons, such as, they made a mistake on the amount, they though you were asking them to include shipping costs, they wanted to be sure to cover all of the costs of the sale. But in each case they ask you to refund the amount paid you in overage. The scam is that their check will be worthless (banks can’t tell for 20 days whether a transaction has actually gone through.) And they will pressure you to refund them the overage money. Many people don’t realize that a bank will release funds to you immediately, but will reclaim those funds if the check is determined to be fake. Victims of this scam will deposit the cashier’s check into their account, see that the funds posted, and think everything is ok. They then follow the buyer’s instructions and either return the money or make a payment to the transportation agent the buyer selected. The transportation company the buyer requests is a fake company the buyer uses to collect the funds the seller transferred. Weeks later the bank will inform the seller that they deposited a fraudulent check, and reclaim the funds, leaving the seller to pay out of their own pockets anything they gave to the transportation agent or returned to the seller. Remember that the scammer is not even interested in getting your car. The scammer just wants you to send your check for the overage. Your car is never at risk. Scammers are most often in a country outside the U.S. (despite what they might tell you.) Scammers usually don’t use proper English. They often will not communicate with you by phone. They will use email exclusively because they want to remain anonymous. Agreeing to a bill of sale, in which all parties have clearly listed who is responsible for what, and at what cost, is one way to help protect yourself from this. Another is to refuse acceptance for any amount that is over the agreed upon price. Force the buyer to send a new cashier’s check for the correct amount. If you deposit a cashier’s check from a seller, express your concerns to your bank, and they’ll tell you how long you’ll have to wait to be sure of the check’s authenticity. Most banks today will be able to tell you if a cashier’s check is real of not by the numbers on the check. Don’t use any of your own funds to meet a buyer’s demands. Finally, don’t agree to handle the transport of a vehicle on behalf of the buyer. Once you get the money for the vehicle, it is the new owner’s responsibility to arrange transportation. Phishing is a scamming technique that’s been around since the beginning of financial institutions. In involves getting enough of your personal information to open credit accounts in your name or even gaining direct access to your banking accounts. Over the internet, the most common way to do this is by providing a link to a fraudulent website designed to look like a legitimate one. A seller might ask you to use Paypal or Google Wallet, both legitimate services, and provide you with a link to the website in their e-mail. It’s easy to add links to any bit of text though. Here’s two links: www.carsonline.com and www.carsonline.com. The first brings you to our website, and the second to the Wikipedia page for the famous quote that started this article. Scammers will build a website that looks identical to the legitimate one, except that when you enter your information, it’s being used by the scammer and not the service the website claims to be. Another way they might collect information is by getting spyware onto your computer. Sometimes they links they’ll send you in an e-mail will link to a program that runs hidden in the background of your computer’s normal processes. The program will log the data you enter into your computer and send that data back to the scammer. The next time you use your online banking or buy something online, they’ll get access to your financial information. Never use links provided in an e-mail. If you accidentally clicked on an e-mail link and are worried about spyware having been installed, then run a spyware removal program, such as the ones included in a pay-for virus removal tool like Norton Anti-virus, or a free-to-use program like Super Anti Spyware. Consult with your bank about what information they require to complete a wire transfer, and be cautions if the seller is asking you to provide anything more, especially if one of those “requirements” is sensitive information like a social security number. Phishing isn’t only a buyer’s problem. Be aware that many of the same methods for acquiring financial information from a buyer can work the other way around as well. Be cautious of anyone asking for your personal information. If you’ve been paying attention, you’ll know that law enforcement is getting newer, high-tech tools every day. Not long ago, many municipalities approved the use of catch cameras, cameras connected to speed detecting devices that take photographs of cars exceeding speed limits or failing to stop at traffic lights. The tickets show up in the mail, with no officer interaction required. It wouldn’t surprise many people to receive a notice of a ticket in an e-mail now. Many would just figure it was a new paperless way of alerting offenders. After all, the details about the time and place might be correct in the notice. The recipient might even recall speeding through that intersection. In truth, these e-mails are coming from con artists looking for a payday. In California recently actual speeders have been contacted by email by internet scammers who demand payment for speeding violations. Law enforcement is still looking into how they’ve come by the specific details of a driver’s speed and whereabouts, but guesses point toward a smart phone app exploit. It records your speed and location as part of GPS navigation, and some enterprising scammers have found a way to exploit it. Law enforcement agencies and municipalities do not contact you by email to accept payments for traffic violations. If you get a ticket delivered to you by email, it doesn’t matter who it’s from … It’s a scam. You can read about specific scams that Cars On Line users have encountered on our Scam Alerts page. Thankfully, these occur with very little frequency, and most online transactions are completed without any need to alert us of a new scam. It does happen from time to time though, and familiarizing yourself with these instances is a good way to help you identify a scam. While most scams are just variations of the kinds listed in this article, new ones do pop up occasionally. You can help to protect yourself from most scams by following these tips. If you’re new to the collector car market, don’t be afraid to talk to people that had successful long-distance transactions before, especially if you’re not comfortable with what a seller is asking you to do. Find out if it’s normal from people that have experience. Be wary of sellers and buyers that have requirements that seem complicated or out of the ordinary. If they start out by telling you they’re on a long-term business trip in another country, you’re better off just hanging up the phone. Don’t use links provided by the seller in an e-mail. If they’re asking you to use Paypal (which is highly unusual to begin with), use an internet search engine to find the Paypal homepage, not the links in the e-mail. If you’re unfamiliar with any service the seller is asking you to use, do your research. Contact local business authorities and read reviews. Ask questions about the service from other car buyers and see if anyone has heard of or used the service before. NEVER just take the seller’s word for it. Keep the lines of communication open. Ask to talk to them over the phone, or better yet, in-person. Pay attention to what they tell you, and don’t be too ready to give them any information in return if you have any reservations. A seller that refuses to talk to you over the phone is deserving of your suspicions. If the email the seller or buyer is using is a long line of randomly thrown together letters and numbers, you’re probably looking at a throw-away email. Scammers have to make new e-mails for every person they attempt to victimize, and with so many people to hustle, their throw-away email addresses don’t tend to be too creative. If you can’t see the car in-person yourself, get the vehicle inspected by a professional to be sure it’s actually there. You can get the opinions of the inspector regarding the seller while they’re at it. Use a bill of sale to protect yourself legally. Some of the best advice ever given to help protect you from being victimized is this: don’t get greedy. It’s easy to lose sight of good sense when the prospect of getting a phenomenal deal lands in your lap. Most of the time, a deal that’s too good to be true is exactly that. Don’t let a criminal pull the wool over your eyes by letting your own desire to get a good deal cloud your judgment. If you think you’ve become the victim of a scam, contact your local police department and ask about how to proceed. Click here to read more How to Buy a Car Online articles.